Julian Valentin is a professional soccer player who has been involved in journalism since 2003. He has contributed to the U.S. Soccer and L.A. Galaxy websites, as well as "Major League Soccer Magazine" and other publications. Valentin earned a Bachelor of Arts in English from Wake Forest University. McDonald’s is an internationally known fast food restaurant, famous for its burgers, french fries and iconic Golden Arches. Starting out as one location in San Bernardino, Calif., in 1955, McDonald’s has grown into a global food empire with more than 31,000 locations worldwide. Like any fast food restaurant, it is important to consider calories when dining at McDonald’s. Famous for its burgers, McDonald’s basic cheeseburger has 300 calories. Another of its well-known offerings is the Big Mac, which has 540 calories per sandwich. 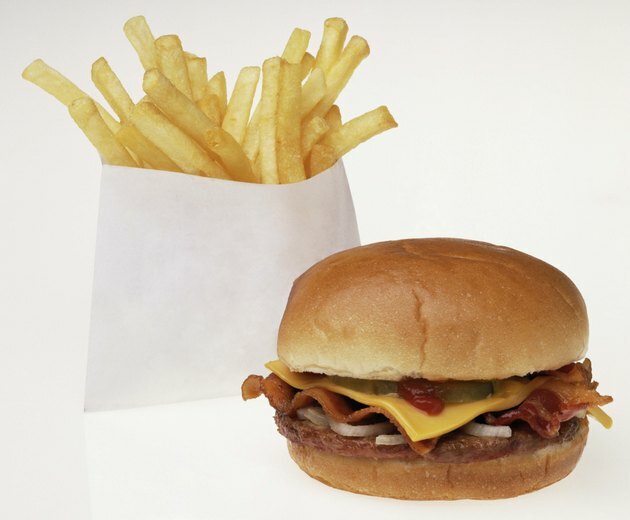 A newer burger, the Angus Deluxe with 100 percent Angus beef, has 750 calories for the one-third pound burger. A six-piece order of McDonald’s Chicken McNuggets has 280 calories. Adding a dipping sauce, such as barbecue, ketchup, or honey, will add calories to that count. The Premium Grilled Chicken Classic Sandwich has 420 calories, while the crispy version of the same sandwich has 530 calories per serving. McDonald's has added salads to its menu over the last few years, including a Premium Southwest Salad with Grilled Chicken for 320 calories and a Premium Bacon Ranch Salad with Crispy Chicken at 370 calories per serving. McDonald’s world-famous french fries have 380 calories for a medium size serving. A cone of reduced-fat ice cream has 150 calories per serving and a Baked Hot Apple Pie has 250 calories. As with most restaurants, most of McDonald’s highest calorie menu items are the items that give you the most food. The chocolate Triple Thick Shake has 1,160 calories for a 32-oz. milkshake, while the vanilla and strawberry offerings have 1,110 calories for the same size. The McDonald’s item with the second most calories is the Big Breakfast with hotcakes and a large biscuit, at 1,150 calories per serving. McDonald’s does have low-calorie offerings for its customers. 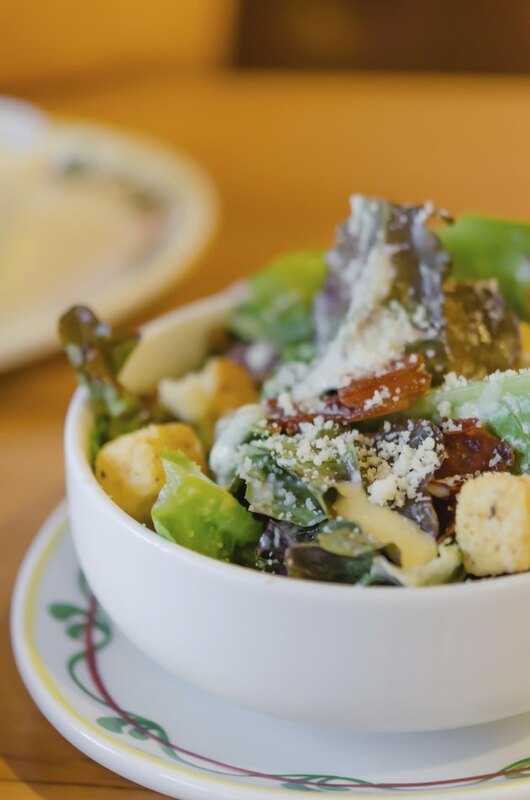 The Fruit ‘n Yogurt Parfait has 160 calories per serving, while the Premium Caesar Salad has 90 calories. A small order of french fries has 230 calories per serving. How Many Calories Are in a McChicken? How Many Calories Does a Baconator Have?